I previously taught a version of this course at The White Page in Minneapolis, MN in May 2014. Pen and paper industrialization of mathematics, a "computing factory"
"Information is information, not matter or energy." Note: Engelbart's innovation was to shift thinking from computers as automated labor to being part of the "whole system of a human and his augmentation" which he called the H-LAM/T system: humans using language, artifacts, and methods in which they are trained. 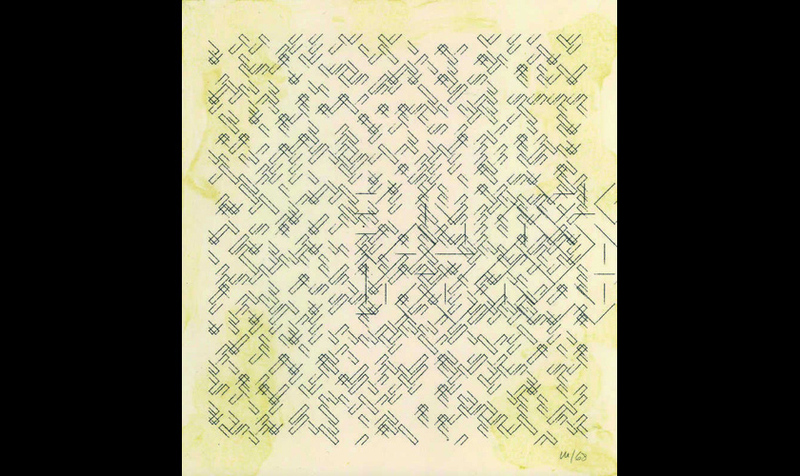 Untitled, plotter drawing, 16 x 14.5cm 1968. Croix X (1950-1955), pencil on paper, 23 x 30cm, 1955. 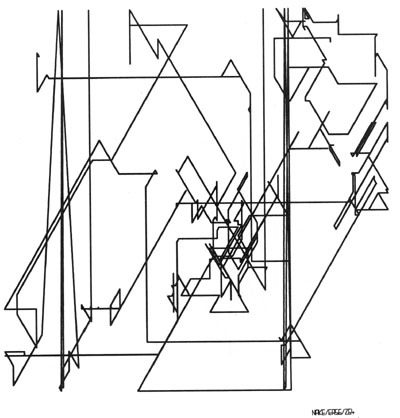 Random Polygon, plotter drawing, 40 x 40cm, 1965. 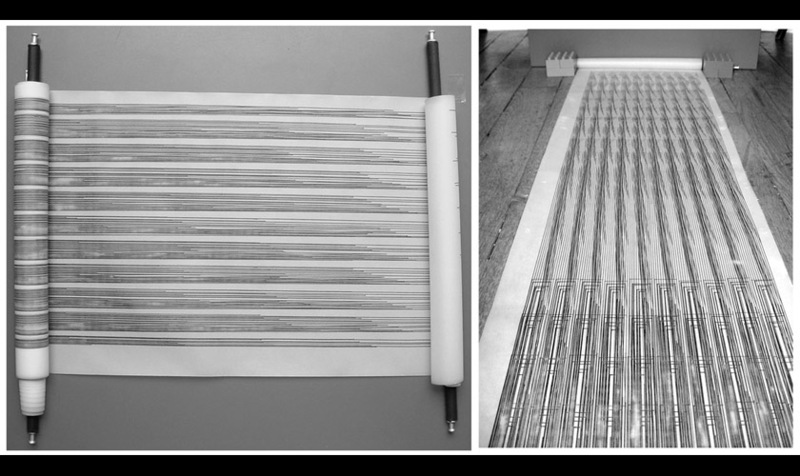 Human or Machine: A Subjective Comparison of Piet Mondrian's "Composition with lines" (1917) and a Computer-Generated Picture. This paper is a really interesting gesture; it's not necessary to read the whole thing, just the abstract at the top. Hypersphere, stereoscopic computer animation, mid-1960s. Kinetic Sculpture, stereoscopic computer animation, mid-1960s. The Game of Life, computer program, described 1970. Volume Visualization with the Pixar Image Computer, computer generated video, 1987. 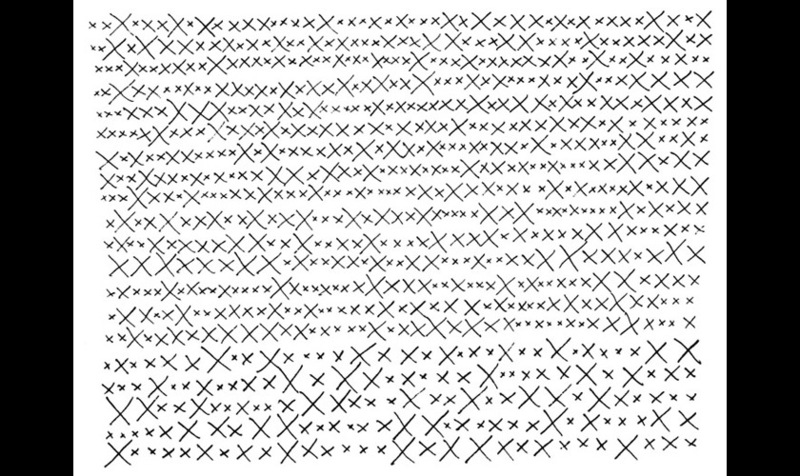 DNA with Ethidium, computer generated video, 1978. Carla's Island, computer generated video, 1981. Note: the parallel here is that Char Davies created VR environments and also created the software used to create the CGI in Jurassic Park, while John Carmack created Doom and is currently developing the Oculus Rift VR environment platform. Playing music on a PDP-1 (Programmed Data Processor-1), Digital Equipment Corporation, 1959. Spacewar, the first videogame, played on PDP-1 with vector display. Friden Flexowriter, common input/output for PDP-1. 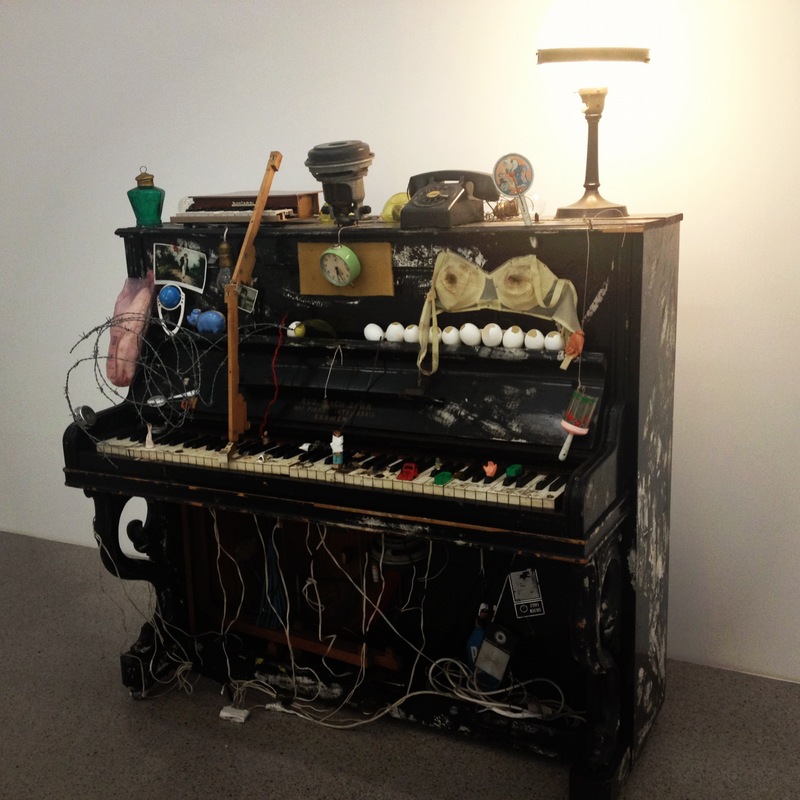 Note: Earlier on, Paik made prepared pianos like this one. Robot K-456, remote-controlled electronic assemblage aka robot, 1964. Sound Activated Mobile (SAM), cybernetic sculpture, exhibited at Cybernetic Serendipity, 1968. The Senster, cybernetic sculpture, 1970. R.O.S.A. B.O.S.O.M. and Mate, robots, 1965-67.